When we install new programs on our System, by default they will be installed in System drive which is C drive mostly. The programs which are 32 bit will be installed in “C:\Program Files(x86)” folder and the programs which are 64 bit will install in “C:\Program Files” folder by default. If you are running out of space in your C drive, you can move some files to other drives. Program Files is one of the most important folders in C drive which takes a lot of space if more software are installed in the system. One way of freeing up space in C drive is to change the default installation location of C:\Program Files. 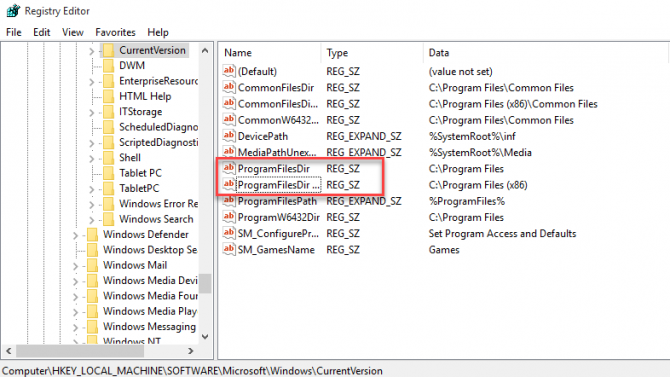 This will not move the currently installed programs but all future programs will be installed in the new location without manually changing the default installation path while installing the application. Let’s see how we can change the default installation folder in Windows 10. The same can be applied to Windows 7 and Windows 8.1. Proceed with following steps to change the default location of installation folder for new installing programs. 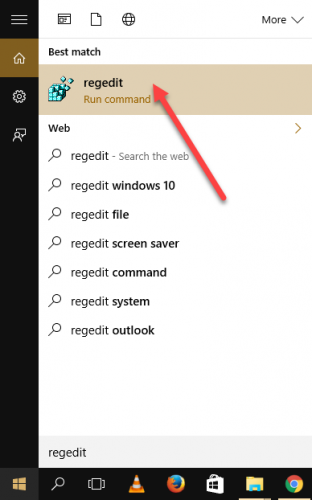 Type the “regedit” in start menu and open the first result it shows. “HKEY_LOCAL_MACHINE\SOFTWARE\Microsoft\Windows\CurrentVersion”. And double click on “CurrentVersion”. Then on right hand side window will expand. Go for ProgramFilesDir from list. If your Operating System is 64 bit then there will be two entries ProgramFilesDir and ProgramFilesDir(x86). Double click on any one of them and see the entries. It is C drive first. You can edit any drive where you want to save all installations. And then press Ok after editing. Restart the system for changes to take effect. And new installation will be done in your new folder. Thank you. Your clear, concise instructions without beating around the bush are appreciated. A question: in the same CurrentVersion values there are CommonFilesDir and CommonFilesDir (x86), CommonW6432Dir, and ProgramW6432Dir. I assumed these should also be changed, and did so. Mine are all going to D:\. Do you know of any problem that could develop from changing these others? I’m having a problem were windows is unable to update. (Fatal error… Undoing changes). Could it be that windows is unable to complete updates because i changed the default install folder from C:program files and program files (x86) to D: program files and (x86). C is a 125gb nvme ssd were windows is installed and D is a 1tb hdd. The problem could be your disk space. Make sure you have enough disk space in your C drive for the updates to be installed. Thank you! Exactly the solution I was looking for. Incredibly stupid and irresponsible article. Doing this will prevent windows from being able to access or run any programs currently installed on the original drive. INCLUDING regedit, command prompt etc. This will essentially brick your computer and the only solution is a full, clean install of windows. This does not brick the PC. The programs you mentioned are not located in Program Files. They are in System32 instead. Put anything you’re unsure of in the environment variables PATH value. And learn to communicate without insults. That skill will serve you well all your life.